I've recently been on a roll creating content for you all while working on an amazing project in the background. I wasn't always this motivated and organized. I used to over-book myself then get so overwhelmed with all of the tasks I procrastinated from. Thanks to the inspiration from Kalyn Nicholson, I have adapted her "GYST Day" practice to accommodate my lifestyle, helping me get back on track. If you are anything like me, you may enjoy creating your own GYST Day to help you get your life back in order. 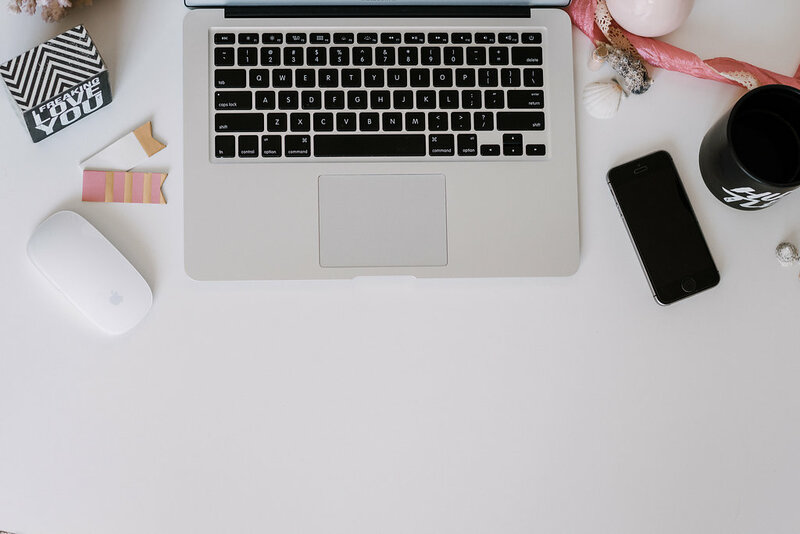 I also added some pro-tips at the end of this post to help you stay on task, get more done, and feel accomplished at the end of the day for getting your life together! 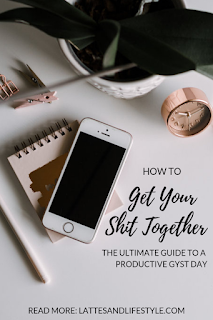 If you are unfamiliar with Kalyn's "GYST Day" strategy, it is basically the act of putting aside a day of the week to Get Your Sh*t Together. She breaks her day down into three categories: chores, beauty, and goals; then gets tasks done within those categories as the day goes on. 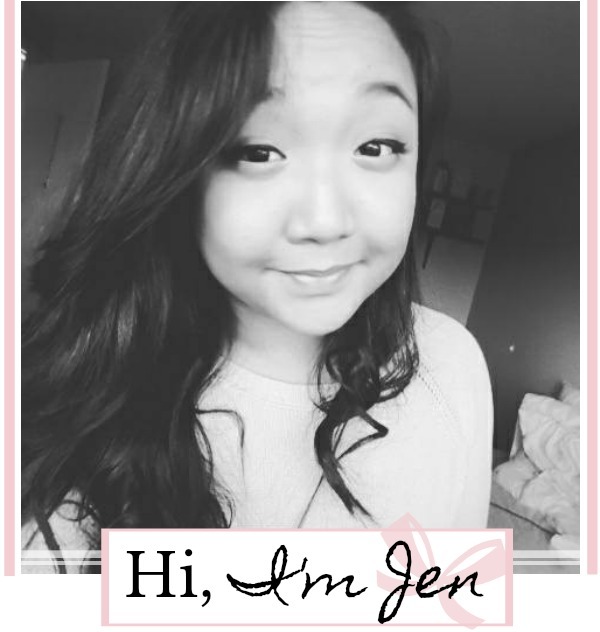 To learn more about it, watch her YouTube video here. Who Are GYST Days For? - Anyone who is excited to create a more productive lifestyle. If you fit any (or all) of these, I definitely recommend you giving a GYST Day a try. I feel like, unless you have your life 100% together (which is almost nobody, because nobody is perfect), you could benefit from trying a GYST Day at least once in your life. 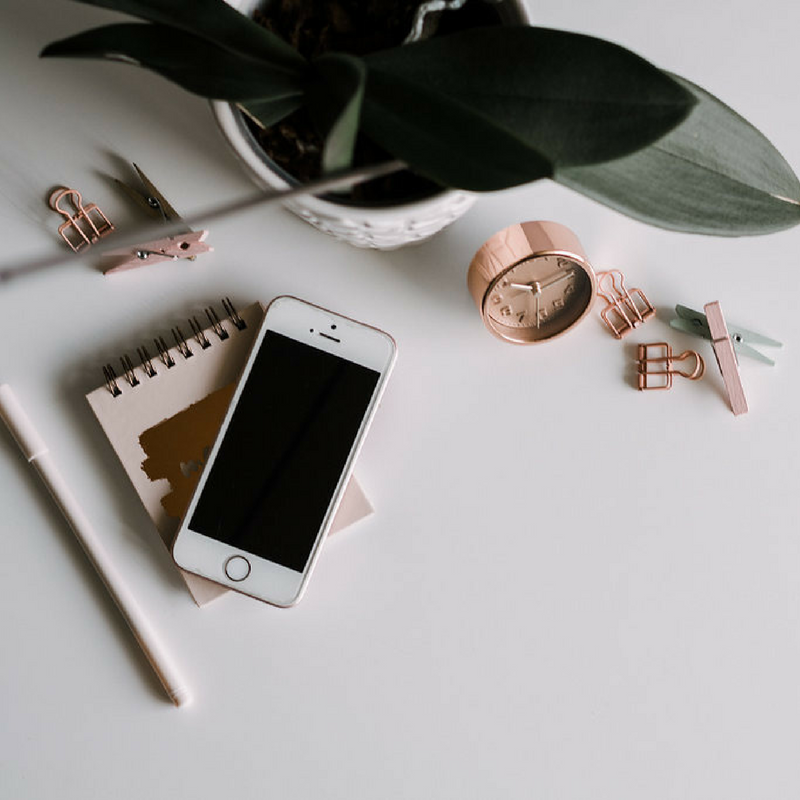 No matter your intention, implementing a GYST Day into your week definitely will have you feeling more organized, underwhelmed, and ready for what the next week holds. For me, having a GYST Day means setting aside a day of the week to complete all of the things I've been procrastinating from or have slipped behind the reigns due to other more important tasks and events. I am a person who puts way too much on my plate at one time. I am constantly brainstorming and coming up with creative projects while balancing being a husky mom, a girlfriend, a daughter, and a 20-something who has no clue what she wants to do with her life. Having a GYST Day helps me organize my thoughts and get back on track. Usually my GYST Day is Wednesday. This is just most convenient for me because that is the day my boyfriend, Adam, doesn't have school or work; so he watches our dog while I try to get myself back on track. You obviously could pick whatever day of the week that works best for you and you definitely do not have to do this every week. Some people (like me) just need to do it every week to keep themselves on track; but you surely could just plan a GYST Day whenever you feel like you've fallen behind in life. How To Organize Your GYST Day? Similar to Kalyn, I also like break my day up into categories. Although I have a couple extra categories I have created to help me be more productive and get more done throughout the day. I always like to start my GYST Day with doing chores. They are the quickest to complete and having a clean work space always makes me want to be more productive. These are typically chores that have been piling up while I have been trying to do other tasks, chores I only need to do on a weekly basis, or tasks I have been avoiding doing. After finishing all of my chores, I usually take some time to complete some projects I've been procrastinating from doing. Whether these are projects from school, my blog, my shop, or freelance work, I try to get them all done during this time. After I complete all of the projects I needed to get done for the day, I begin some self-care. These are things I can't do on a daily basis that give myself the good ol' pampering I've been lacking from working so hard on other tasks and commitments throughout the week. 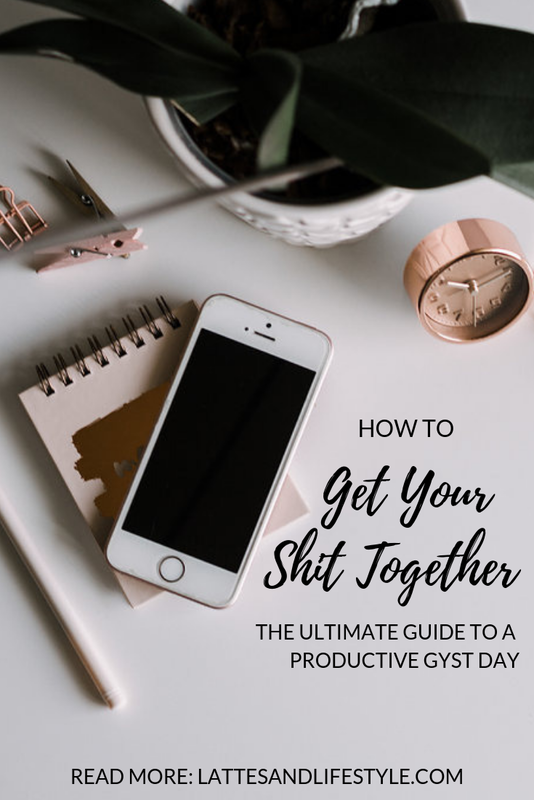 I think it is most important to use your GYST Day is to plan ahead to so that you can continue to have your sh*t together. I like to spend some time filling in my planner with upcoming dates, tasks, and projects for the upcoming week that are noted inside of my calendar app. I will be sharing a detailed post, next Sunday, explaining how I plan ahead using my favourite calendar app on my phone and my planner! Keep an eye out! Finally, after a long productive day of getting stuff done, I like to just relax! Here, you can do whatever makes you feel happy and relaxed. You worked hard, so you deserve to play hard too! Keep your planner/calendar up-to-date throughout the week so that it will be super easy to identify what you need to get done during your GYST Day. You don't want to waste your day away just trying to figure out what needs to get done. For each category of your GYST Day, write a list of things you MUST get done that day. Schedule time-frames in your calendar/planner to do tasks. This will create pressure on you to complete everything in its designated time frame--allowing you to do more throughout the day. Do all of the things you hate or take the longest time doing first. When you have completed them, you will feel so much more motivated because they are finally out of the way. Try to have fun and keep a positive attitude during your GYST Day. When you are enjoying yourself, more gets done. Pick a day of the week that typically seems to be free every week. This will help you create routine. The more implemented a GYST Day is in your routine, the more likely you are to continue doing them and staying on track with your life. This was my ultimate guide to a productive GYST Day. Have you tried a GYST Day before or have a similar routine in your life? Let me know in the comments below! Thanks so much! I'm so glad you love it! Yes! I do this, but I didn't have a name for it. I don't have a set day, but it usually ends up being Monday. Although tomorrow is so overwhelming to think about. I will say that I've gotten so used to it, that if I don't have my GYST day, I feel totally discombobulated until it happens. I scheduled a breakfast meeting at 8:30 tomorrow and my trainer at 10:30! What was I thinking?! New Blog Post Every Sunday at 11AM EST.